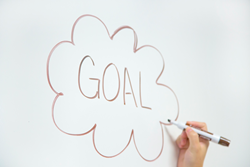 Goal-setting and measurement are fundamental aspects of any public relations program. Garden Media understands how to set goals and create measurement tactics based on client’s specific needs. Public relations pros work hard to earn placements and build a brand’s reputation online and across a variety of business channels. All clients have specific PR goals they expect their firm to meet. Why else would they call on a firm for help? PR firms must understand these goals and create measurement tactics based on client’s specific needs. Statements like “How did they get that editor to give them such a glowing review,” “­They have seen social media followers double over the last six months,” and “­They claim to have a product that is better than this company’s” all reflect goals the client wants to meet. Listen. Clip counts and general impressions are essentially meaningless if other non-traditional factors aren't accounted for. When analyzing a story, consider the tone, medium of delivery, credibility and relevance of the medium to the audience and look for Inclusion of a third party or company spokesperson. Some clients do value AVEs, so if including them in reports, don’t forget to add things like negotiated advertising rates relevant to the client and the quality of the coverage. There is no single metric for social media measurement, but social efforts can and should be measured. Hours are spent crafting a voice, attracting followers and engaging with fans don’t let efforts go to waste! Similar to conventional media, measurements should evaluate quality and quantity. Did a new post receive more likes or shares compared to others? Did a top brand retweet or engage online? These can be considered wins in a client’s book. Transparency is paramount to sound measurement and success. Like anything in PR, it’s easy to exceed client expectations when there are defined goals. PR firms produce the most effective measurements after listening to their client goals. It’s the firm’s job to clearly identify these goals, exceed expectations and produce the proper measurement that highlight the value of the work. One way to show indispensability to clients to produce measurement reports on a monthly basis. Here’s the easiest way to impress clients with reports. While many clients still value impressions, circulation, page views and AVEs, it’s worth remembering that measurement shouldn’t rely solely on these “vanity” numbers. It’s impossible to quantify the full scope of the work and measure the true value of public relations efforts simply based on a cost of space or airtime on a certain outlet. Were there an 5x increase in sales after the campaign launched? Did a video get 1,000 comments in the first few hours after it published? All of this insight is valuable to the client. It’s important to update clients regularly about metrics and the best way to do this is though monthly reports. Include all the measurements clients ask for in each report but don’t forget to add metrics that show off the true scope of work. But what should be included in a monthly dashboard? Secured media coverage: All the hits in a clear and easy-to-read fashion. Include secured opportunities, even if the client could not engage. After all, it was still earned! Upcoming media coverage: Show the client the thinking goes beyond the current month by outlining upcoming interviews or coverage. Sometimes there’s no telling exactly when a story will hit. If the date is TBD, that’s OK, too. Upcoming activities: Include a list of upcoming opportunities and any action items needed to finish beforehand. Perhaps there will be pitching around a specific event or topic. This also helps the client be prepared to provide information. No matter how results are measured, remember that transparency and planning is the key to maintaining a satisfied client. PR measurement should be done in a manner that is transparent and should always list the sources of the content, criteria used for collection and the reasoning behind decisions. Garden Media Group ignites buzz for clients, offers innovative public relations campaigns and secures top media placements and partnerships. The boutique PR and marketing firm is known as the best in the home, garden, horticulture, outdoor living, and lawn and landscape industries. Visit http://www.gardenmediagroup.com for more information.